There are currently 85,041 users on this website. 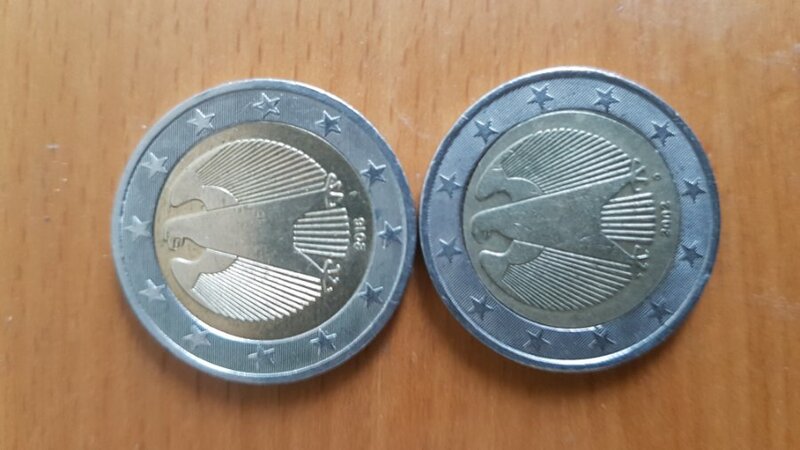 German 2 Euro Floating Stars 2002 Value. 2 I've seen. Do you have a cite? The stars on this coin all point the same direction, the outer ring looks like it has been rotated post mint (top star is at the eagle's left wing tip). A picture of the other side will tell immediately if that is the case. Correct. Not a mint error; it is impossible for a coin to actually be struck that way, since there's only a single solid die used in the striking. 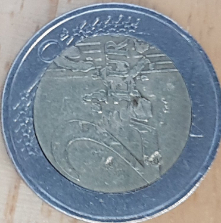 Nothing on the die can rotate, the only things that can rotate are the separate pieces of the coin, after the coin is struck. Someone has just separated the two halves of the coin, and put them back together wrongly.